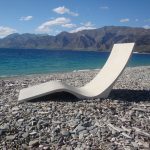 Flowing Stone Concrete Design is based at Lake Hawea, near Wanaka in Central Otago in New Zealands South Island. Being based here allows us to service all areas in the Southern Lakes and surrounding areas. 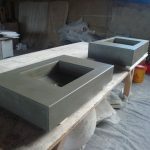 We work with clients and designers creating custom concrete for inside and out including bench tops, integral vanities, furniture, fire surrounds, tiles and wall panels. In fact, almost anything that can be imagined in any shape or thickness. Finishes range from ultra modern sleek look through to rustic character filled. Our basins are individually handcrafted giving the client a stunning one off piece. 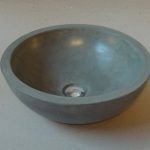 Concrete’s ability to form to almost any shape makes it ideal for vanity tops. Truly unique pieces: dining, coffee and outdoor tables to seating & cabinets. Seamless hearths can be created to sit over existing framing. Individually handcrafted using a variety of timbers.